In order to continue learning and growing as a teacher, each RYT must complete 75 hours of Continuing Education every three years, including 45 hours of teaching experience and 30 hours of yoga training. Only training hours directly related to one of our four Educational Categories, where you are learning something that is new to you. 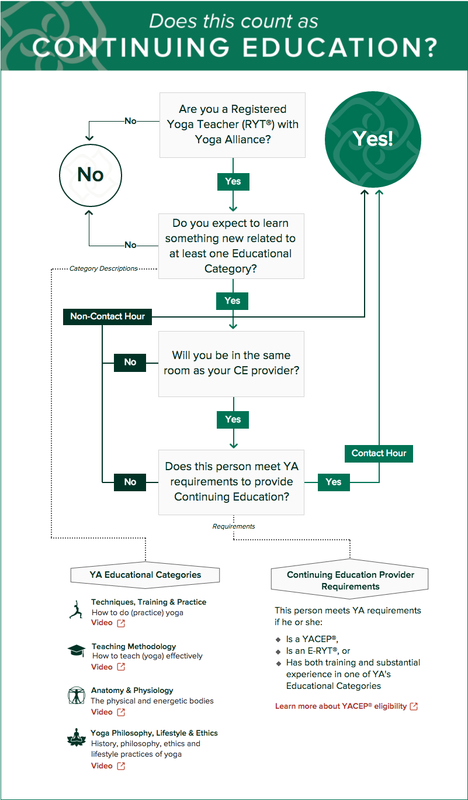 The chart below shows how you can figure out if a course, class, or workshop meets these requirements and counts as Continuing Education.